Formed by high school friends Nick Littlemore and Peter Mayes, PNAU burst onto the scene with their 1999 debut album Sambanova, going on to win an ARIA Award for Best Dance Release in 2000. 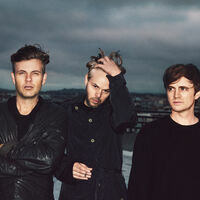 Subsequent albums Again (2003), Pnau (2007) and Soft Universe (2011), spawned a raft of hit singles including “Wild Strawberries”, “Baby”, “Embrace” and “The Truth”. "Chameleon" was the first single from the acclaimed electronic act in over four years and is spiritually anchored in the medicinal plant culture of the Peruvian Amazon and laced with all the energy we expect of the Australian outfit, who are now a trio with the addition of newest member, ARIA Award-winning producer Sam Littlemore. "Chameleon" also welcomed the addition of Kira Divine on vocals, bringing a new and electrifying layer to the band’s vision and live show. In November 2017, PNAU released their fifth studio album, Changa, and walked away with the ARIA Award for Best Dance Release for “Chameleon”, heralding with unmistakable conviction, PNAU is back. After being the equal third most nominated artist for this year’s ARIA Awards, PNAU took out the 2018 ARIA Award for Best Dance Release for ‘Go Bang’, making them the first ever artists to win the Best Dance Release ARIA three times. To this day, the group maintain their reputation as one of “Australia’s Best Festival Acts” (inthemix) - a testament to their timeless music and prolific nature.